In today modern industrial cities we see that many people having different cultures share the same settlement and form a typical social complex system. People come from other cities or even foreign countries Newcomers bring their cultural values such as clothing, meals, likes and dislikes. As a result of interacting with other people some cultural values change, some completely forgotten while others become popular and known by the majority of people. There should be a mechanism helping some cultural values being more popular and causing other people being assimilated by majorities. 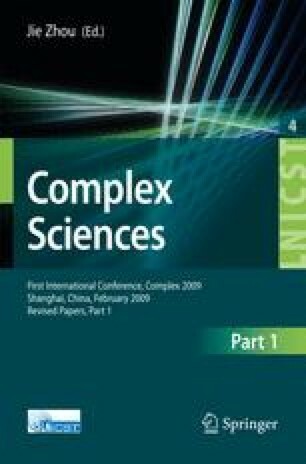 Different cultures’ interactions with each other and consequences of their interactions will be investigated by the principle rules of Simple Recommendation Model which is proposed by Bingol in 2006. The agents will be grouped according to their national origin and remember and forget the choices instead of agents. Also selections of interacted agents will be made according to people’s choices.